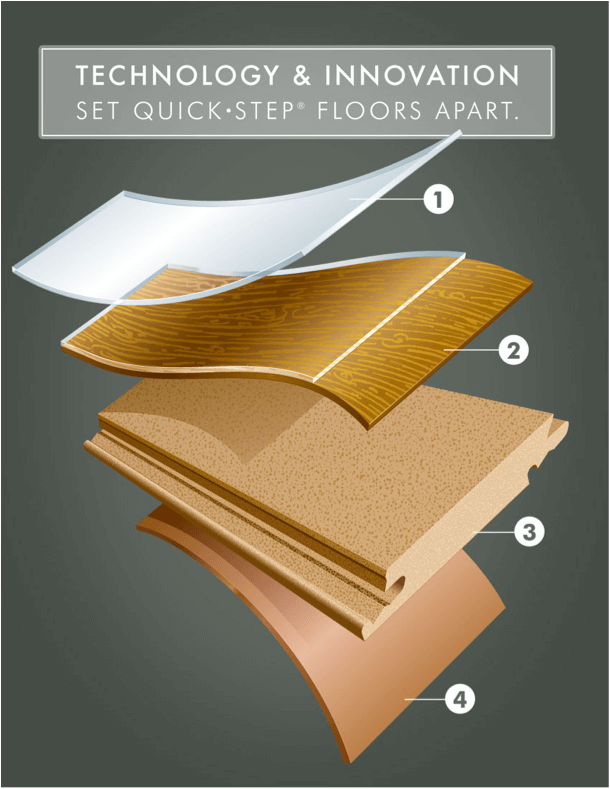 Laminate floors are one of the most cost-efficient, eco-friendly, and durable floors available. Made from the sawdust waste produced by the hardwood flooring industry. Using high pressure, the sawdust and glue are pressed into the boards (3) that are then milled into various widths for the laminate floors. The unique designs used on the boards and created by heat sealing layers of paper (2) and aluminum oxide (1) to the boards, producing an exceptionally hard and water-proof wear layer.